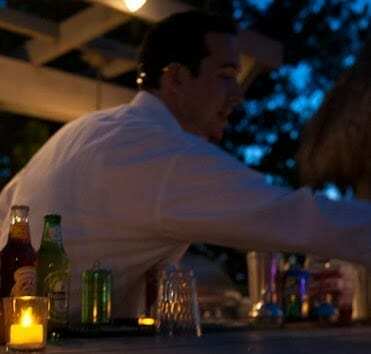 The Specialty Drink and How it can make or break your wedding. Yes, make or break your wedding, you read that right, but it’s just a drink you might say? Learn some helpful tips from seasoned event bartenders and things that may help your event flow a lot smoother. Why do we have a specialty drink? To this day, I still don’t know when specialty drinks made its course, but it seems every event that we now do seems to have one. 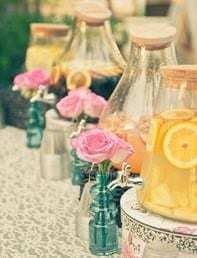 Whether it’s the Brides Choice vs the Grooms Choice, or if its a mixture of their two favorites, you can almost expect us to have a specialty drink prepared for your wedding day. Other than pretty colors, cool shaved garnishes or that cute stirrer that you ordered off etsy, there should be a real reason on why you are having a specialty drink, the Reason? To alleviate me, the bartender. There are two major times that the bar is going to get packed. The first is after ceremony. After the ceremony, you and your fiance will run “Backstage” and take photos with most likely your bridal party, after that, everyone will look straight to our direction, and head to the bar. And why not, lets get this party started! After ceremony everyone will head towards the bar like an episode of the walking dead. A signature drink can help bust out half of these people, whether we have them pre-made, or if we have them made with a cocktail server passing them out. The bar will get alot less cluttered with people and will smooth out the wait time. I have seen events that have not had a specialty drink, and not having one makes all the difference in the world. 100 people coming to the bar at one time can make any seasoned bartender sweat. Especially if there is no signs at all, the questions are never ending and people are waiting alot longer than if there was an already pre-made drink handed to them after the ceremony. Now contrary to many of my fellow bartenders, I like making difficult and fun drinks, but this is about time and convenience. I didn’t write a blog to just avoid making drinks like mojitos or old fashioned’s, but they definitely need to be brought up. I remember back when I first started doing weddings, and seeing a mojito drink for the specialty drink, the event, was a wreck at the bar. True story, I thought that this was completely our fault and that we totally wrecked it, and while part of that was true, it was also inexperience on all of our parts, the wedding planner, the bartender, the couple, everything. Luckily, I’m here writing this so you can learn from our mistakes. The next event that we had mojitos and old fashioned’s as a specialty drink, was also a wreck. This can’t be a fluke can it? NO right, I think me and my time are pretty good at what we do? 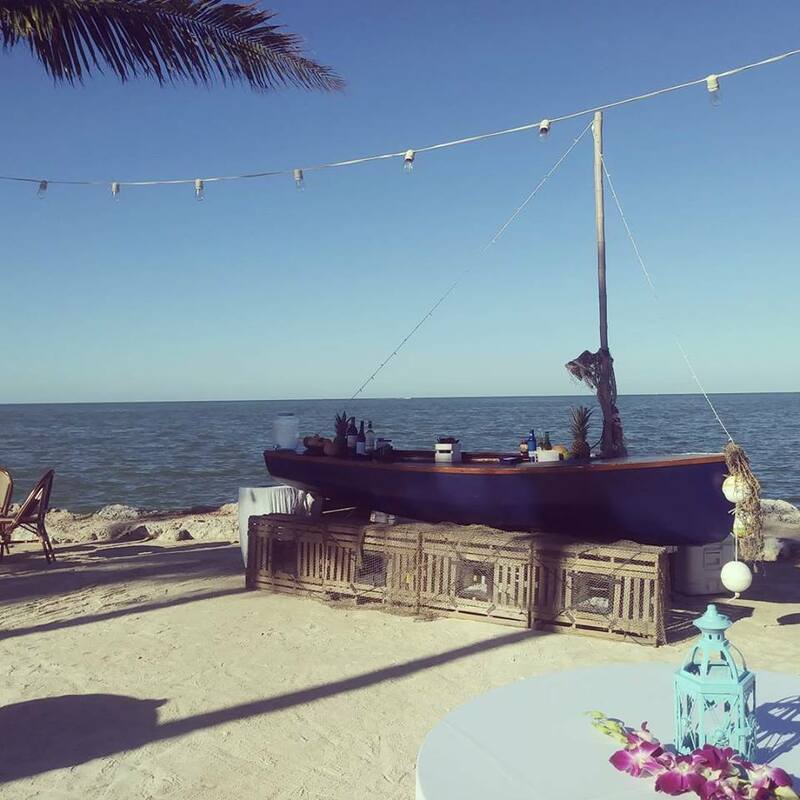 The problem is when we start planning on your wedding and talking with couples, we factor in the guest amount and the alcohol, then, when we get to the event, they also mention that they are doing Mojitos, or old fashioned’s or frozen pina coladas. 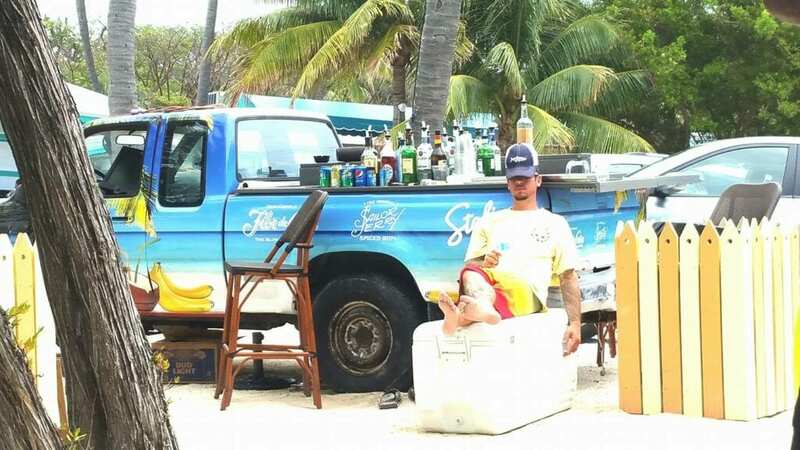 What happends after that, is we lose a bartender right off the bat! So if we had two bartenders for your 120 person event, we have already lost one, even if we start pre-making, time is not on our side, and if the drink is a hit, expect it to go all night. So picture 100 guests coming to the bar after the wedding ceremony, and the sign is up for Mojito as a specialty drink, it takes time to make one. Then we have 4 ordered, then 5, then 6, then everyone is waiting for a specialty drink that takes way too long and everyone is starting to get upset. For Recommendations for Specialty Drinks for cocktail hour, or if I’m discussing with a couple, I always recommend something fun, and something that we can bust out pretty easily. A lemonade or watermelon, rum punch, mai tai, or something general that everyone loves and something that everyone will appreciate. Usually I will have them recommend a drink that they like together, and we switch a few ingredients, and rename the drink after them or their event. Try to stay within 3-4 ingredients. 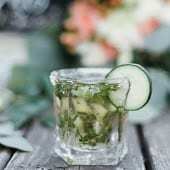 With all that being said, I have done some really nice events where they specifically wanted mojitos or another specialty drink that seems to be very time consuming, somethings to consider. 1.) Offer it as a specialty drink, but not the main specialty drink. 3.) 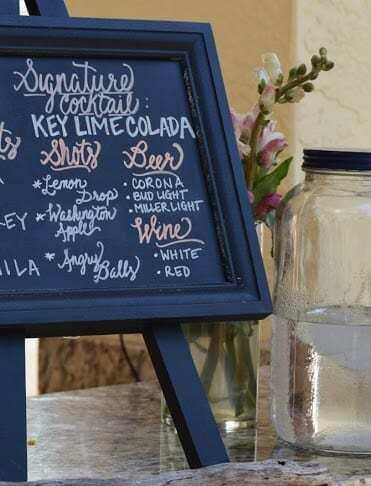 Use a quick cocktail for servers to hand out after ceremony, then when the dust settles, use the signage at the bar for your specialty drink. 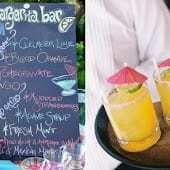 We hope that this can help you with the flow of your event, specialty drinks are always a nice touch. Going to a bar years later and ordering your specialty drink will always have that nostalgia of your wedding day. Make it fun, make it smooth, and make it taste good, and you wont go wrong!